These new chips measure the same 11.5mm x 13mm as the previous generation, allowing them to fit into smart phones where every last bit of space is valuable. 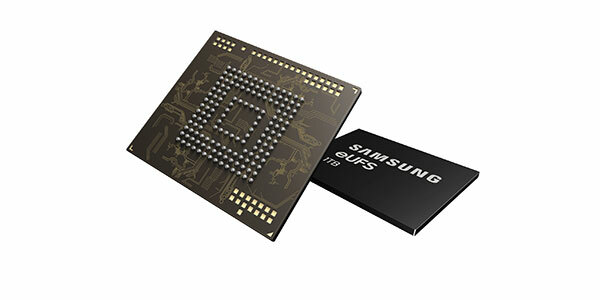 The leap in capacity is possible thanks to Samsung's ability to stack 16 of its 5th Generation V-NAND dies. Each die has 96 layers of 3D stacked flash memory cells. The company also touts a new in-house controller. Samsung was one of the first manufacturers to launch a smartphone with 512GB of storage, when it unveiled the Samsung Galaxy Note 9 ₹ 58,900 (Review) in August 2018. At the time, the company also touted the ability to add a 512GB microSD card for a total of 1TB of storage. The company is promising to increase its manufacturing capacity throughout the first half of this year to support customers who want to put these chips into their next-generation flagship phones.